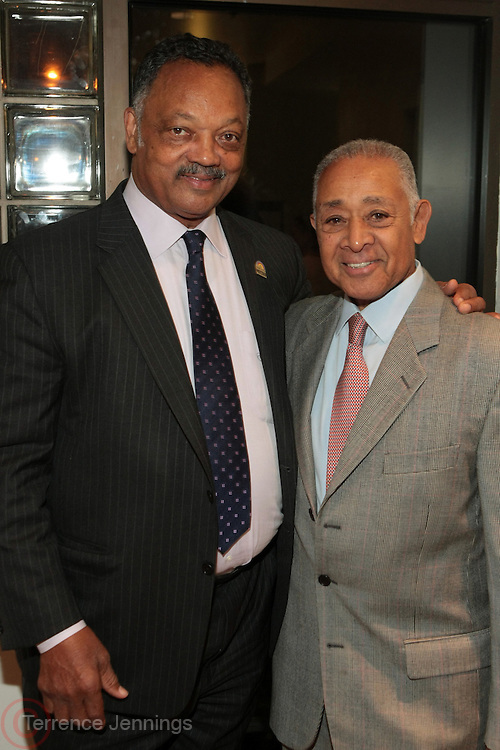 November 14, 2012- Harlem, New York City: (L-R) Civil Rights Activist Jesse L. Jackson and Bryon Lewis, Founder, Uniworld at Actress Ruby Dee's 90th Birthday Celebration and special excerpt screening of new Documentary " Life's Essentials with Ruby Dee " by Muta' Ali, grandson of Actress/Civil Rights Activist Ruby Dee and Actor Ossie Davis held at The Schomburg Center on November 14, 2012 in Harlem, New York City. The Film follows Muta' Ali quests for (Ruby Dee & Ossie Davis) their secrets to love, art, and activism. (Terrence Jennings) .